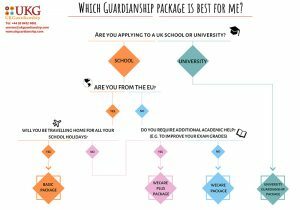 If you are applying to study at a university in the UK but you will be under the age of 18 when you start, most universities will require you to have an appointed guardian based in the UK. Why do I need a guardian? Although you may already feel like an adult, especially if you are applying to universities in another country, you are still classed as a ‘child’ under British law. Therefore, most universities ask for the details of an appointed guardian who will be responsible for the student and that they can contact in case of emergencies….